Sara Ellen Allgood (29 November 1879 – 13 September 1950) was an Irish–American actress. She was born in Dublin, Ireland (then part of the United Kingdom) to a Catholic mother and Protestant father. She first studied drama in Inghinidhe na hÉireann ("Daughters of Ireland") and was in the opening of the Irish National Theatre Society. In 1904, she had her first big role in Spreading the News and the following year was a full-time actress. In 1915 she toured Australia and New Zealand as the lead in Peg o' My Heart. On that tour, she married her leading man and they had a daughter 2 years later. Both her daughter and husband died in 1918. Her acting career continued in Dublin, London and on tour, including to the USA. She also appeared in a number of films and was nominated for an Academy Award for Best Supporting Actress in 1941. She moved to Hollywood to live in 1940 and became an American citizen in 1945. Allgood was born at 45 Middle Abbey Street, Dublin, Ireland, on 29 November 1879, one of eight children of George, a compositor, and Margaret (née Harold) Allgood. Her father was Protestant and her mother Catholic. Her sister was actress Maire O'Neill, from whom she was later estranged. A brother, Tom, became a Roman Catholic priest. After her father's death when she was a young girl, her mother returned to work as a furniture trader. Allgood began work as soon as she was able, apprenticed to a french polisher near her mother's work. 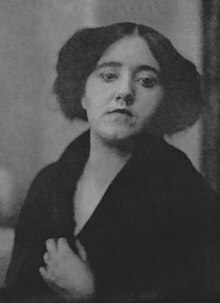 Allgood joined Inghinidhe na hÉireann ("Daughters of Ireland"), where she first began to study drama under the direction of Maud Gonne and William Fay. She began her acting career at the Abbey Theatre and was in the opening of the Irish National Theatre Society. Her first big role was in December 1904 at the opening of Lady Gregory's Spreading the News. By 1905 she was a full-time actress, touring England and North America. In 1915 Allgood was cast as the lead in J. Hartley Manners' comedy Peg o' My Heart which toured Australia and New Zealand in 1916. She married her leading man, Gerald Henson, in September 1916 in Melbourne. She played the lead role opposite her husband in J. A. Lipman's 1918 silent film Just Peggy, shot in Sydney. Her happiness was short lived. She gave birth to a daughter named Mary in January 1918, who died just a day later, then her husband died of the flu in the outbreak of 1918 in November of that same year. After her return to Ireland Allgood continued to perform at the Abbey Theatre. Her most memorable performance was in Seán O'Casey's Juno and the Paycock in 1923. She won acclaim in London when she played Bessie Burgess in O'Casey's The Plough and the Stars in 1926. Allgood was frequently featured in early Hitchcock films, such as Blackmail (1929), Juno and the Paycock (1930), and Sabotage (1936). She also had a significant role in Storm in a Teacup (1937). After many successful theatre tours of America she settled in Hollywood in 1940 to pursue an acting career. Allgood was nominated for a Best Supporting Actress Academy Award for her role as Beth Morgan in the 1941 film How Green Was My Valley. She also had memorable roles in the 1941 retelling of Dr. Jekyll and Mr. Hyde, It Happened in Flatbush (1942), Jane Eyre (1943), The Lodger (1944), The Keys of the Kingdom (1944), The Spiral Staircase (1946), The Fabulous Dorseys (1947), and the original Cheaper by the Dozen (1950). Allgood became a United States citizen in 1945 and died of a heart attack in 1950 in Woodland Hills, California. ^ "General Registrar's Office". IrishGenealogy.ie. Retrieved 12 January 2017. ^ a b c Ruane, Medb (1991). Ten Dublin Women. pp. 15–20. ^ a b Boylan, Henry (1998). A dictionary of Irish biography (3. ed.). Dublin: Gill & Macmillan. ISBN 0717125076. ^ E H Mikhail, ed. (1988). The Abbey Theater: interviews and recollections. Barnes & Noble. ISBN 0-389-20616-4. ^ Hunt, Hugh (1979). The Abbey, Ireland's National Theatre, 1904-1978. Columbia University Press. ISBN 9780231049061. ^ "Big Films in Review". The Sunday Times (Sydney) (1699). New South Wales, Australia. 11 August 1918. p. 18. Retrieved 23 February 2019 – via National Library of Australia. Wikimedia Commons has media related to Sara Allgood. NY Public Library, Billy Rose collection; accessed October 26, 2015. Portrait gallery (University of Washington, Sayre Collection); accessed October 26, 2015. This page was last edited on 5 April 2019, at 00:57 (UTC).